Expansion joints are critical to the structural integrity of bridges. Maintaining and repairing these joints is a complicated process that can cause traffic headaches. 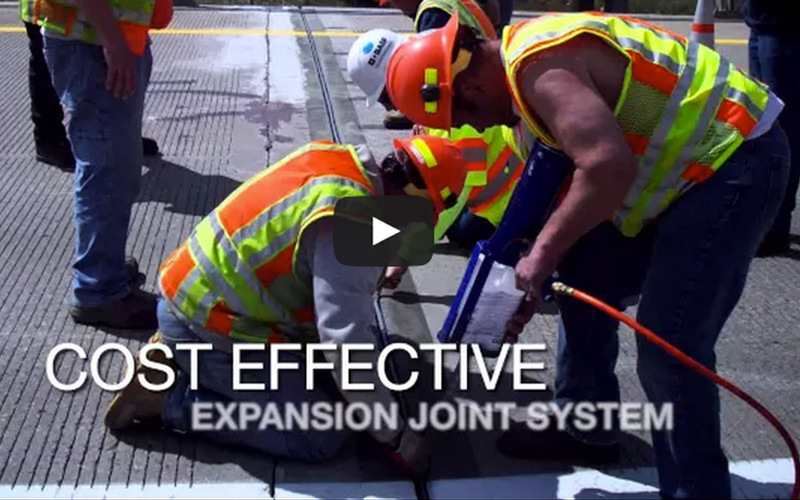 But Watson Bowman Acme’s Wabo®SPS expansion joint system is an easy to install and cost effective solution, as seen in the latest ARTBA Transportation Development Innovation Showcase (TDIS) video. TDIS is a digital marketing program aimed at spotlighting innovations in the transportation design and construction industry. Produced by ARTBA’s creative director, Matt Moore, the videos are created in a consistent format, each one describing a problem to be solved or need to be met. Each video then explains how the product or service meets the need, and concludes with contact information for the company. Watch the featured video on Watson Bowman Acme’s Wabo®SPS expansion joint system. To learn more about the TDIS and how ARTBA can create a video for your company, please visit http://www.artba.org/about/transportation-development-innovation-showcase/ or contact Matt at mmoore@artba.org.